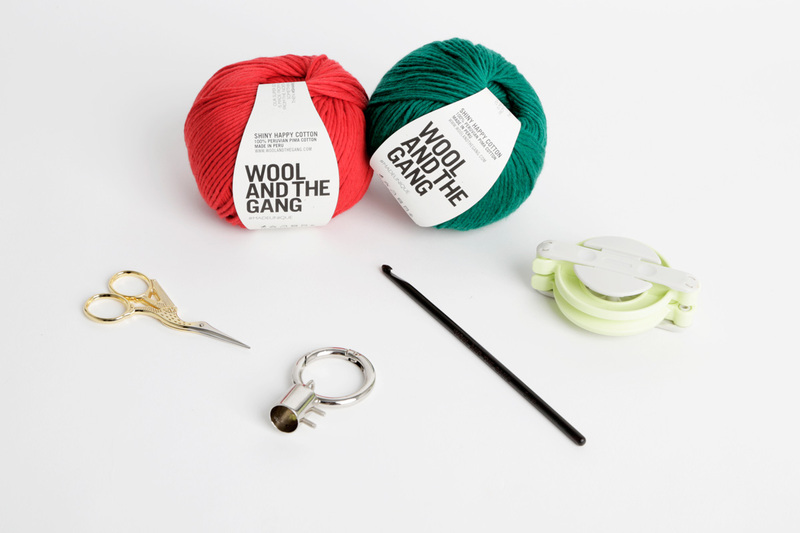 If you can’t keep track of your keys, we’ve got a sweet fix for you! 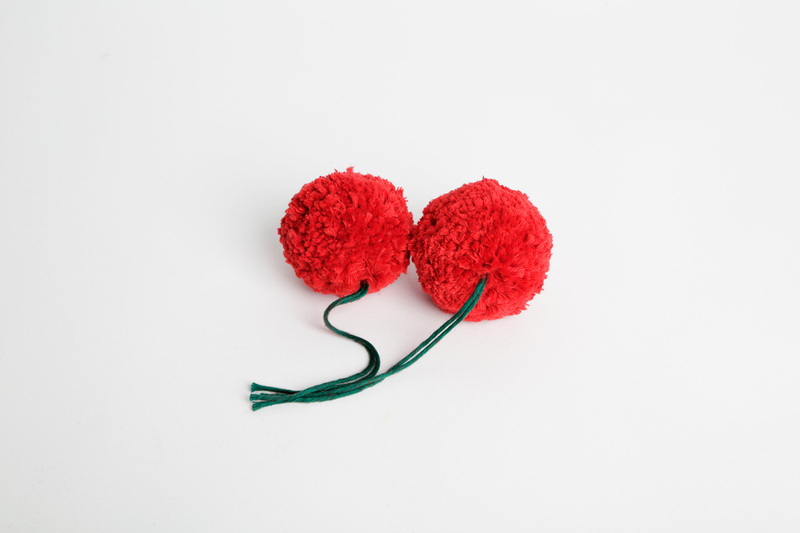 Learn how to make a cherry pom pom keychain using our Shiny Happy Cotton. Chain 10 stitches using you your Land Of Oz Green Shiny Happy Cotton. 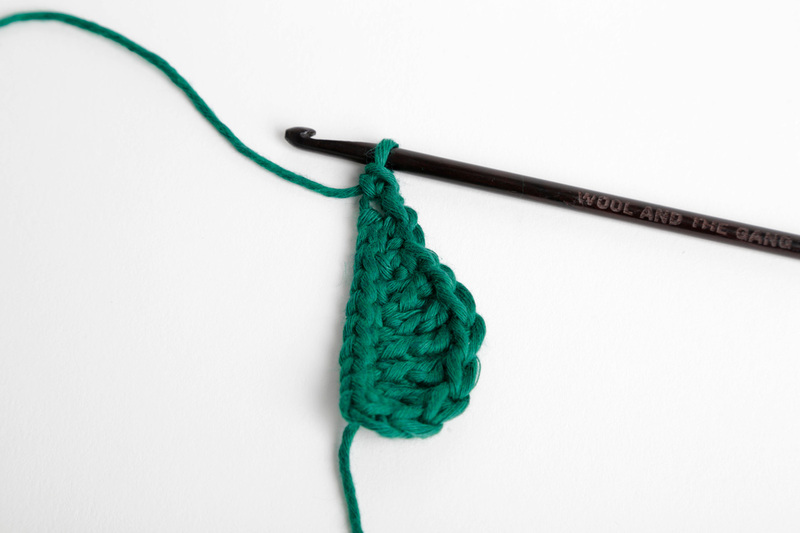 Starting from the second stitch on your hook, work in slip stitch for 9 stitches. 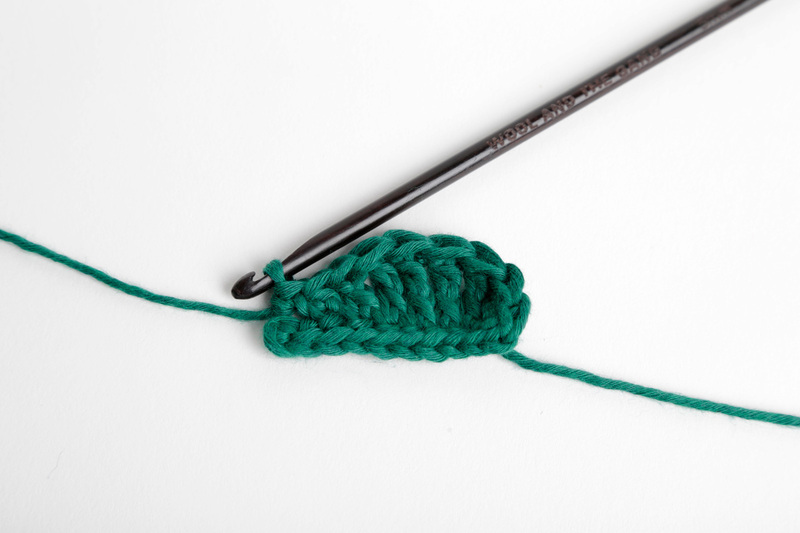 Chain 1 stitch. Turn your work. You will now work along the 2nd edge of the foundation chain. 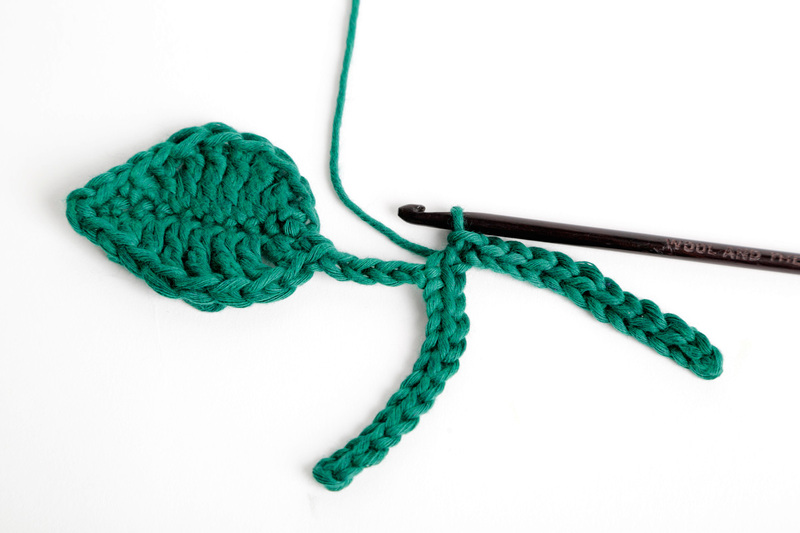 Work 1 stitch in single crochet, work 1 stitch in double crochet, work 4 stitches in treble crochet, work 1 stitch in double crochet, work 1 stitch in half double crochet, work 1stitch in single crochet. 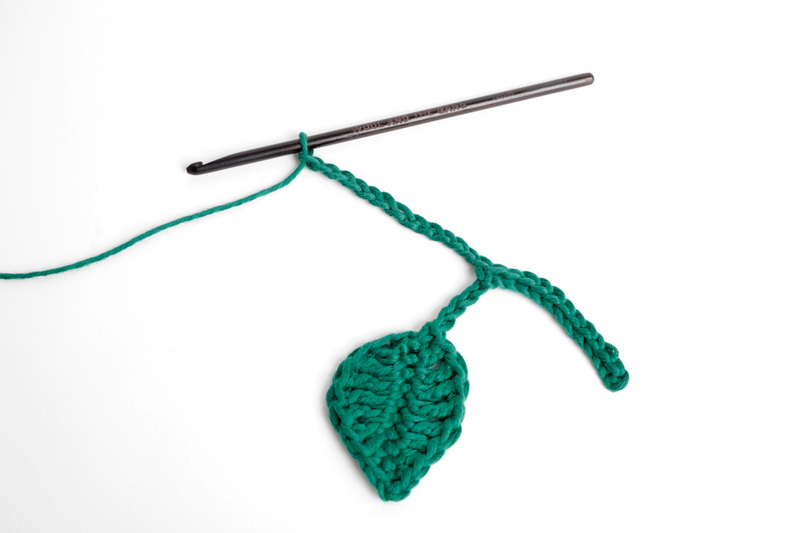 Continue working anti-clockwise around your leaf, work 1 stitch in single crochet, work 1 stitch in half double crochet, work 1 stitch in double crochet, work 4 stitches in treble crochet, work 1 stitch in double crochet and 1 stitch in single crochet. Chain 16 stitches. Turn your work. 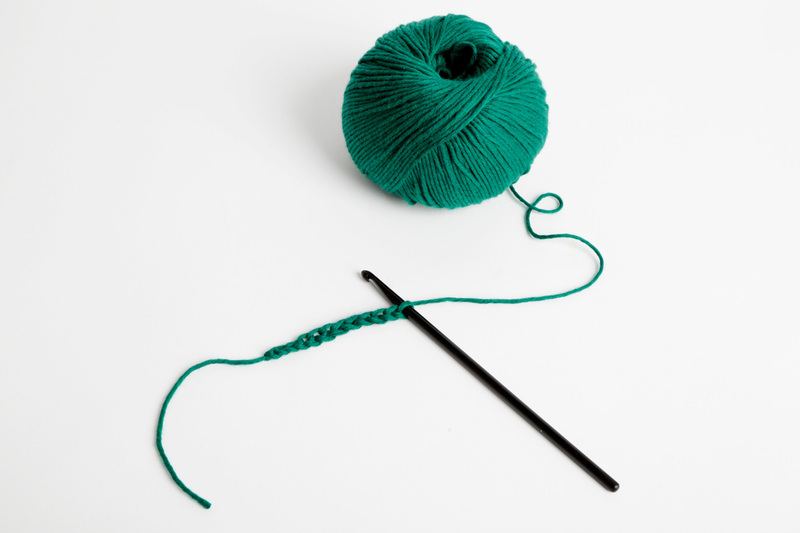 Starting from the 2nd stitch from the hook, work 12 stitches in slip stich. Chain 13 stitches, turn your work. 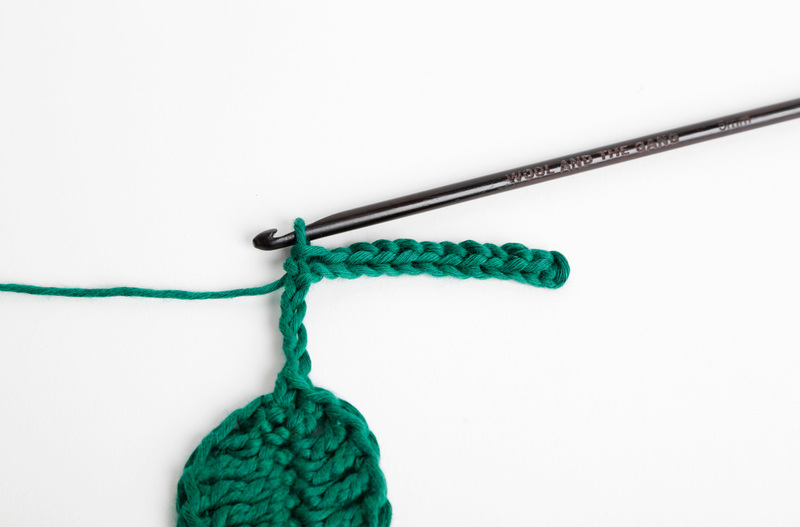 Starting from the 2nd stitch from the hook, work 12 stitches in slip stitch. 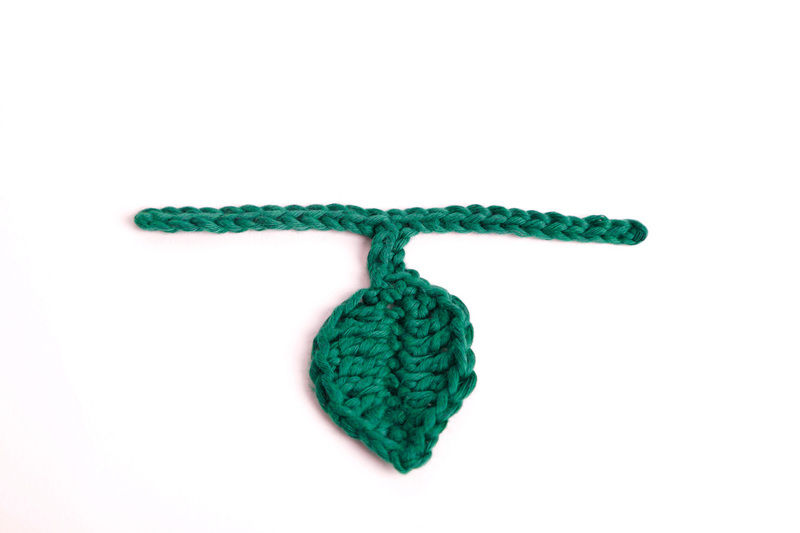 Work 4 stitches in slip stitch along the leaf stalk. 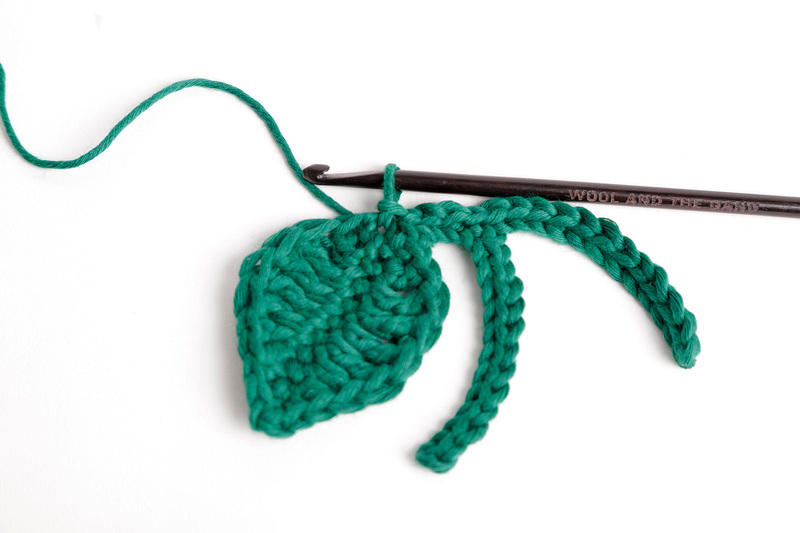 Work 1 slip stitch into the leaf. 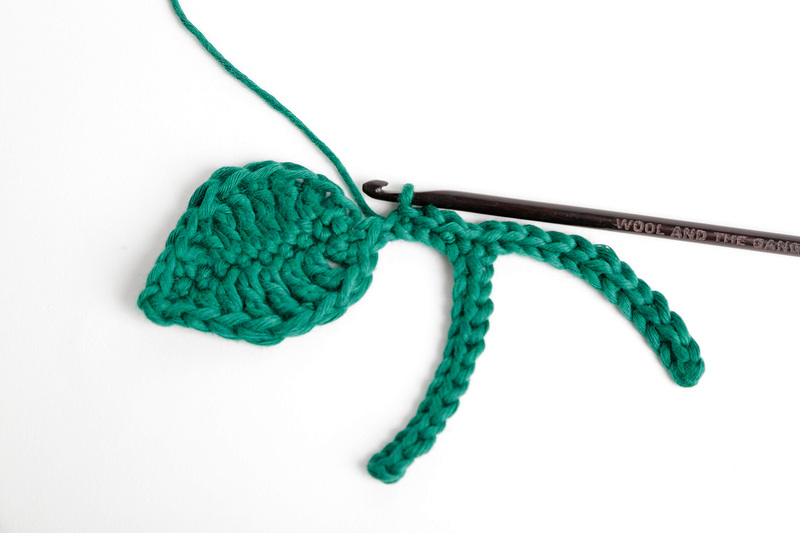 Cut your yarn and pull on the loop on your hook until the end pops through. You have now secured your last stitch. 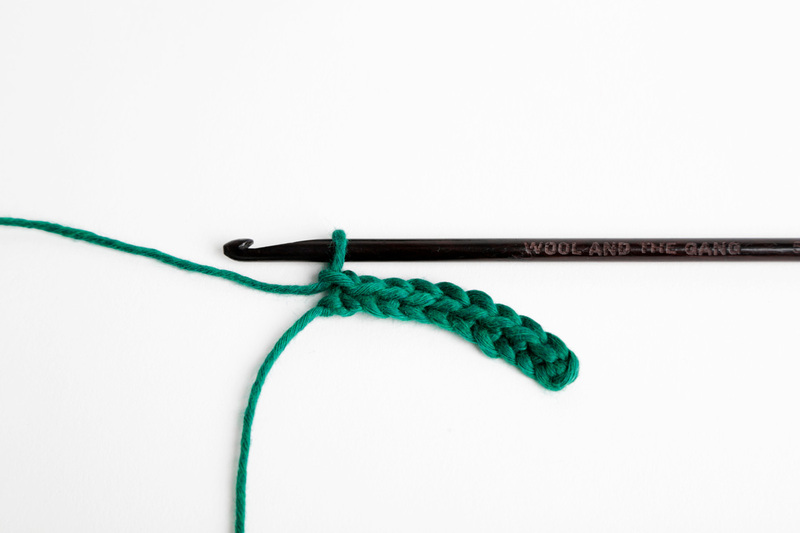 Weave in any loose ends. 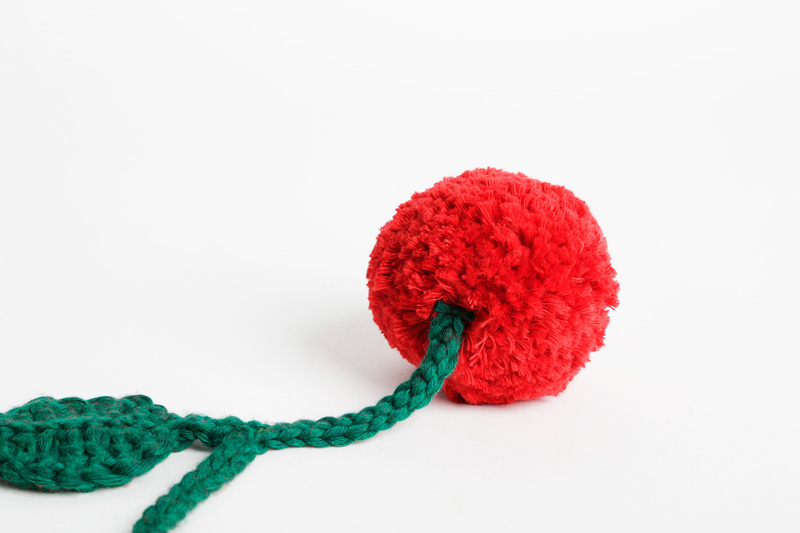 Use a separate strand of Land Of Oz Green Shiny Happy Cotton to secure your pompom. 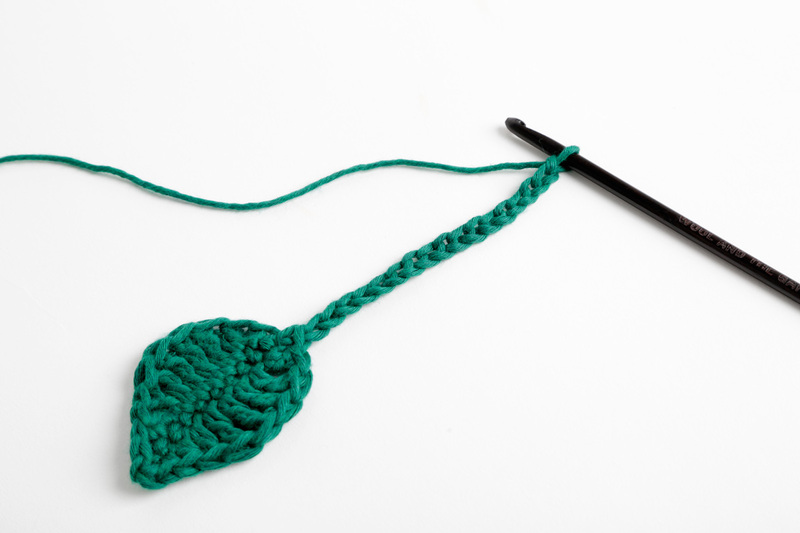 Trim your pom pom but remember not to trim the green tie, you will use these to attach your pom poms to the crochet stalk. 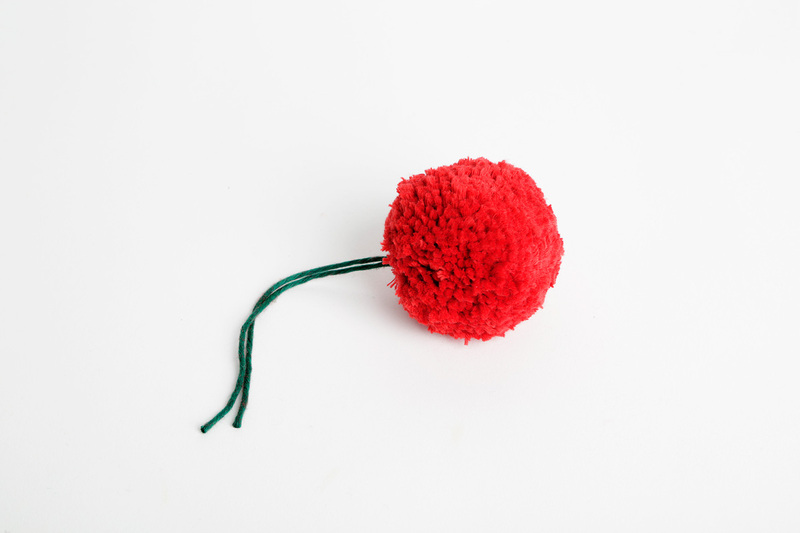 Make a second pom pom in the same way, repeating steps 14-16. 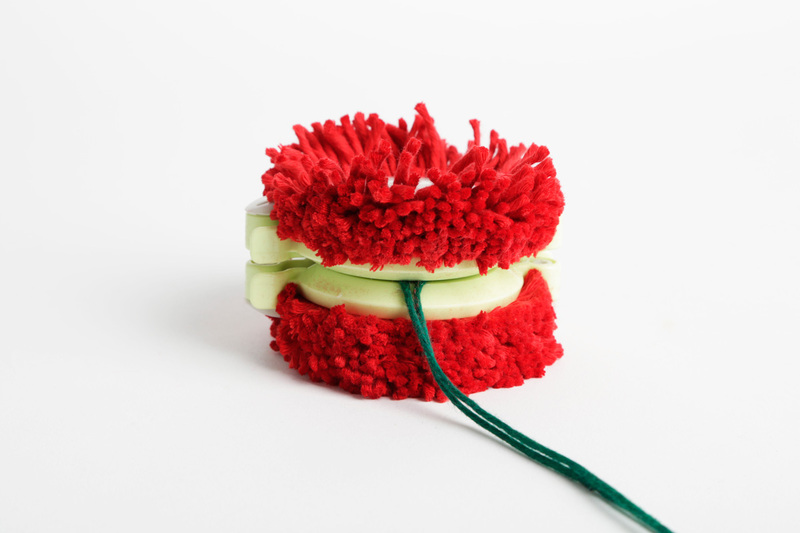 Attach your pom poms to the crochet stalk by tying them to each of the ends. 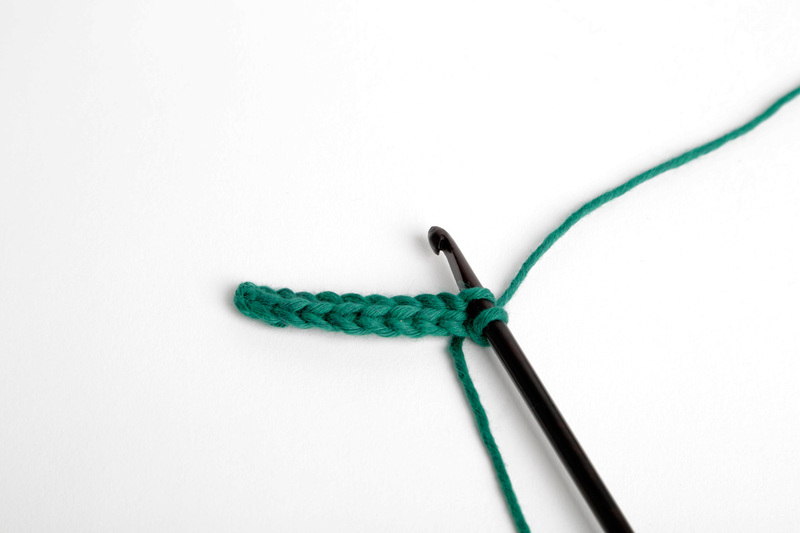 Tie them tightly using a double knot. 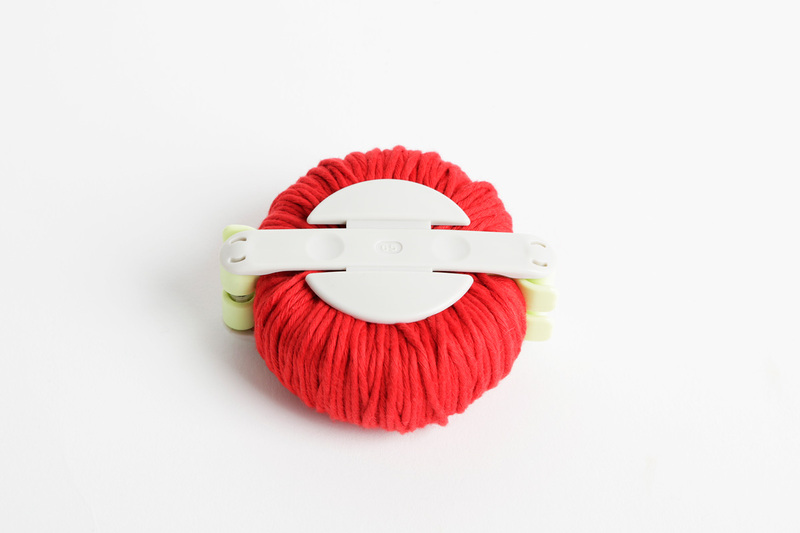 Trim the ends of your yarn. 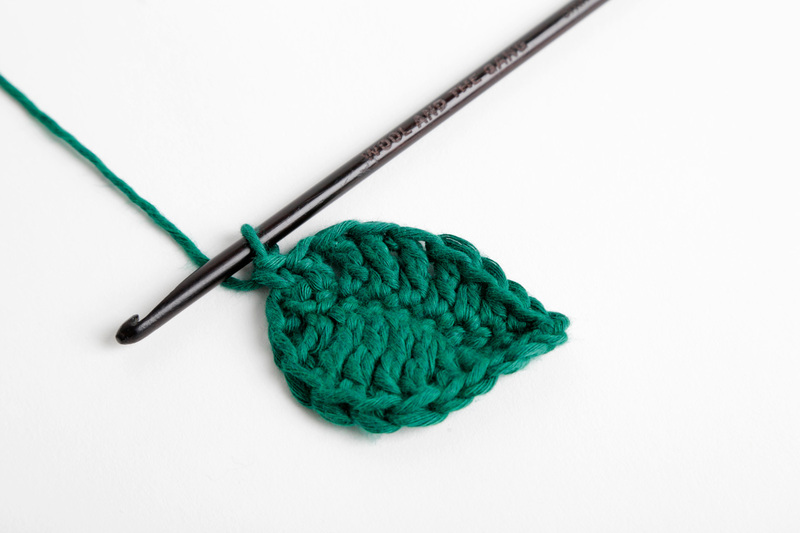 Pinch the point on the stalk where the leaf comes out of the main stalk and poke it into the tassel end. Secure it by tightening the screws. 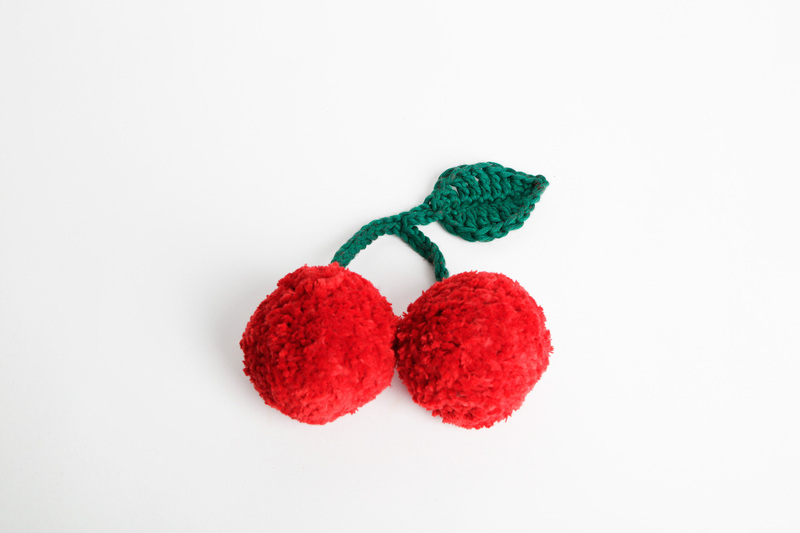 You have now finished your cherry pompom keyring!